In 2002, the NFL realigned into four divisions in each conference. In addition, the playoffs were adjusted to include the four division winners and two wild card teams in each conference. This is the current playoff system in the NFL. The first weekend of the NFL playoffs feature two wild card teams from the AFC and two from the NFC playing the division winners in their conference with the third and fourth best records of the four division champs. This first weekend is commonly referred to as “Wild Card Weekend” (WCW). Let’s look at some stats from “Wild Card Weekend” since that 2002 realignment… a total of 44 games. 1. The home team holds a 26-18 (a .591 winning percentage) record in WCW play. The only two years since 2002 when the home teams won all four games the first weekend of the playoffs were in 2006 and 2011. Home teams are 7-1 in the last two years of the WCW. 2. Having a better record than your opponent on WCW doesn’t matter. Teams with a better record than the opposition on WCW are 19-17 (there have been eight games between teams with the same record). 3. Eighteen of the 44 Wild Card Weekend games since 2002 have been decided by eight points or less. 4. Teams that won the first weekend went on to win the next week 16 of 44 times. In 2008, three teams that won on WCW also won the following week, most of any year. 5. Teams that scored 30 or more points on WCW since 2002 have won 19 and lost four, an .826 winning percentage. 6. Eight teams that played on WCW since 2002 have made it to the Super Bowl: Carolina (2003), Pittsburgh (2005), Indianapolis (2006), New York Giants (2007), Arizona (2008), Green Bay (2010), New York Giants (2011) and Baltimore (2012). 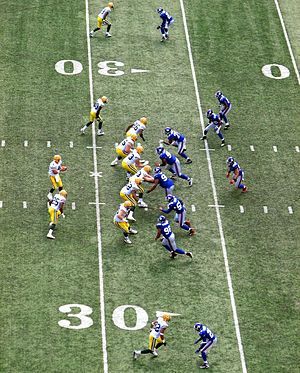 Pittsburgh, Indianapolis, the Giants (in both 2007 and 2011) Green Bay and Baltimore won the Super Bowl those years. The last three Super Bowl champs have come from teams that played on Wild Card Weekend.